25 Red C7 Commercial LED lights spaced 6" apart on green wire, 13.0' total length. This year we found Christmas Tree Lights Etc. and were delighted with the descriptions of the affordable C7 strings. We were impressed that the buyer can choose the spacing between bulbs, and happy to see all the color options. We also like the strawberry-textured bulbs; they add a touch of class to our Christmas tree, with a pleasant, slightly muted appearance. We chose the six-inch spacing, getting great coverage for a 6' tree using 5 strands. 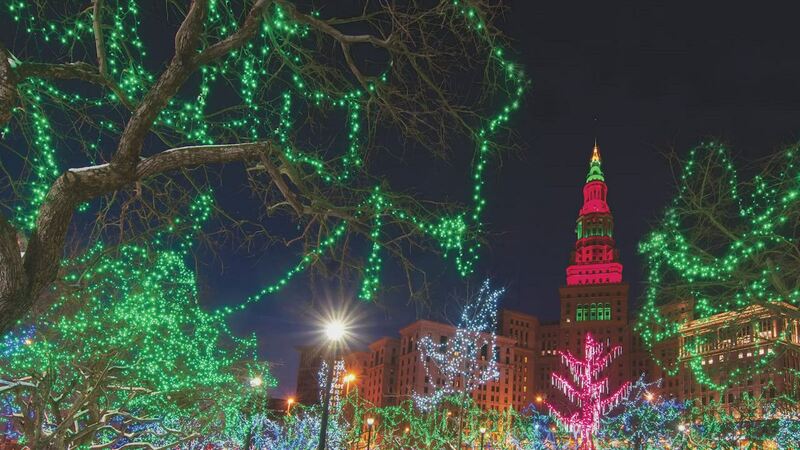 Thank you CLE for filling the need for quality lighting at a reasonable price. I love these hassle-free lights. I decided to purchase lights that I could trust and trustworthy lights I have. These lights are sturdy, easy to put up and easy to store. None of the lights flickered or went out after 45 days outdoors. I would recommend this product to anybody wanting lights that are bright and work well.